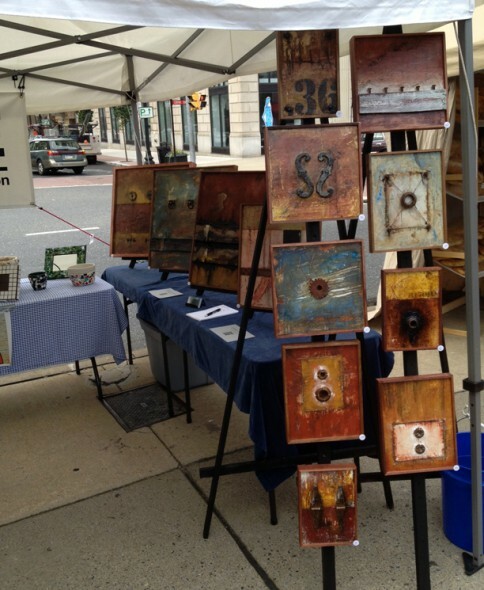 Today I spent the morning showing some of my art in the ACE tent at the Easton Farmers Market. This past year I joined the ACE group (Arts Community of Easton) and as part of their ongoing efforts to support art and artists in the area, they’ve teamed up with the Easton Farmers Market to have a presence every Saturday morning during the market’s season. It was my first time there and I had the pleasure of sharing the space with Mary Iacovone of Mosaics by Mary who gave me a lot of insight into the market and showing/selling art there. Thank you Mary!